It’s time to pop open the champagne for the Zelda game series anniversary! The Legend of Zelda is celebrating its 25th anniversary in 2011, and Nintendo announced their plans for the anniversary at E3 2011. However, before stuffing yourself with party cake and falling half drunk on the sofa here’s a brief reminder of Zelda’s great history. The Zelda game series dates back to 1986 when the first Legend of Zelda game emerged on the NES game console. This was the first game of the Zelda game series to star the adventurer Link in search of the kidnapped princess Zelda. Of course, due to the hardware limitations of the time this first Zelda game was not like the 3D Zelda games of today and was instead a top-down 2D Zelda game with a more bird's eye perspective. The sequel to The Legend of Zelda was The Adventure of Link also on the NES which was one of the more unique Zelda games in the series. The Adventure of Link introduced new side scrolling areas in the game in place of the bird’s eye perspective of the original, so it was more like a platform game. The game was also the first Zelda game to include metered magic and spells. It would not be until the emergence of the N64 that Zelda games embraced full 3D in Ocarina of Time. 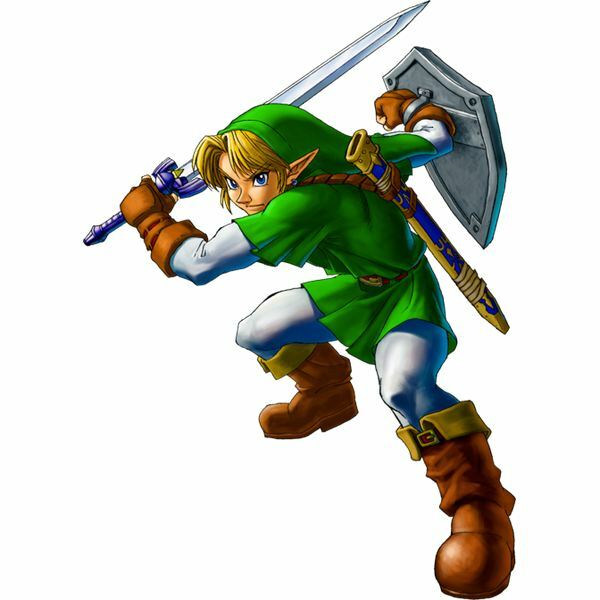 As such, Ocarina of Time added a whole new dimension to the game series and was one of the most exciting Zelda games in the series. 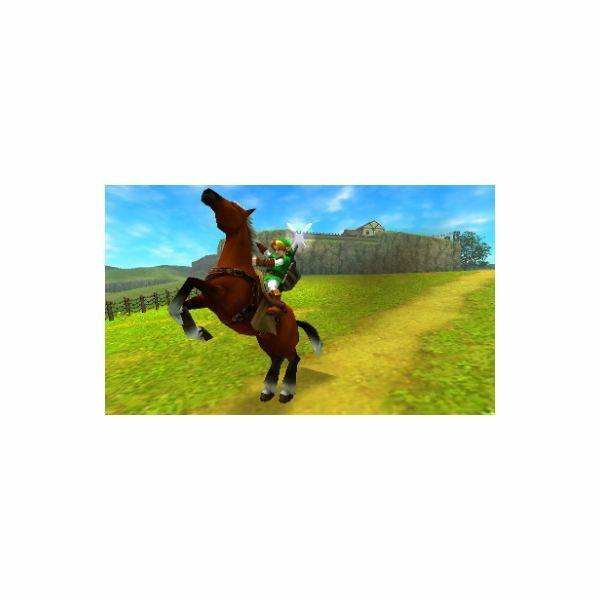 The game included a number of ocarinas that Link had to find and play to progress through the game, and also had a pony for Link to ride on throughout Hyrule. For many fans Ocarina of Time remains one of the highlights of the Zelda game series. From here on most Zelda games would be 3D game titles on Nintendo’s non-handheld game consoles at least. Majora’s Mask was a second Zelda game on the N64, the more cartoonish Legend of Zelda Wind Waker emerged on the GameCube and then in 2006 Twighlight Princess was the Wii’s first Zelda game. In addition to this, The Legend of Zelda Skyward Sword is also set to be a second Zelda game on the Wii. On Nintendo’s handheld game consoles such as the Game Boy Advance and Nintendo DS there would also be further great Zelda games. These stuck more to the original bird’s eye perspective and included games such as The Legend of Zelda Four Swords Adventures, The Legend of Zelda Minish Cap, The Legend of Zelda Phantom Hourglass and The Legend of Zelda Spirit Tracks on the Nintendo DS which included a steam train for Link to travel in style! As such, there have been a total of 16 great Zelda games in the Zelda game series to date since the first Legend of Zelda game emerged in 1986. Little wonder then that Nintendo are celebrating this great game series that has had games included on almost all of Nintendo’s game consoles from the NES to the Nintendo 3DS. game series, flipnote contest and 25th anniversary Zelda desktop wallpapers to spruce up your desktop with. In addition to this, it also includes links to Zelda game websites. However, the website’s highlight is probably the video of the Zelda orchestral display that was played at E3 2011 which includes game clips from previous games of the series. For some reason the Japanese anniversary website does not include any English translation options or links to the English alternatives, but fortunately there is one included on the Nintendo Australia site. Follow the link in the references section at the end of this article for further details. As part of the anniversary Nintendo announced that there are to be a few Legend of Zelda 25th anniversary symphonies to be played at various venues. This 70 piece orchestra plays some of the series best themes as on the video clip included on the Zelda anniversary website. Two of these are set to be held in Los Angeles and London. 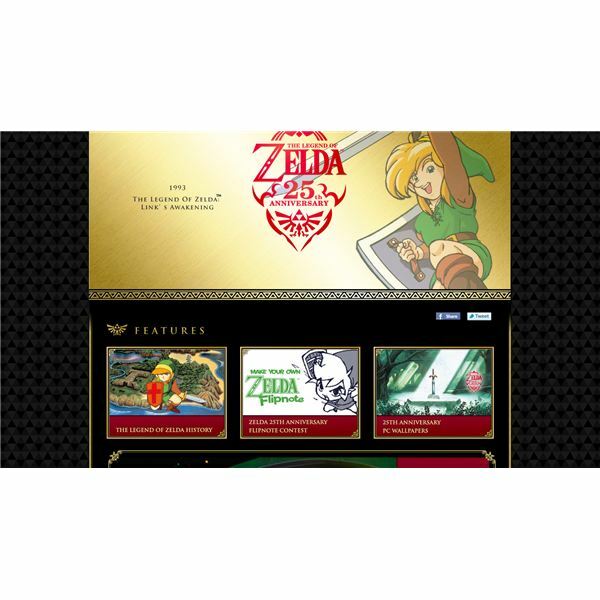 Go to the Zelda symphony website (linked in the reference section) where you can find further details for the events and book your tickets. The second Zelda game is the Legend of Zelda Skyward Sword which is set to arrive on the Wii within a few months. This game will take advantage of the Wii MotionPlus and have more advanced targeting options for combat. Skyward Sword may also include a symphonic Zelda CD perhaps as a collector's edition bonus. As such, it could be another exciting addition to the Zelda game series. In addition to this, Nintendo have also unveiled a golden Zelda Wii Remote for the 25th Zelda anniversary. Although It’s not entirely clear how this will be packaged as of yet, the Golden Wii Remote should be a good addition for Skyward Sword. Zelda Links Awakening has also emerged as the first Game Boy Color Virtual Console game, and Four Swords Adventures will be a free game for Nintendo 3Di gamers as a gift for Zelda fans. So, raise your glasses in toast to the 25th anniversary of the Zelda game series. For undoubtedly, Zelda has been one of Nintendo's best game series. For further details on the Zelda game series anniversary click on the links below.